Our company is renowned to be one of the highly reputed suppliers of Freshwater Tropical Fish. These are found in salt or freshwater but can survive only in a warm (tropical) medium or temperature. Yellow shrimp which good for planted tank for clearing left over feed , algae around in planted tank. The care of the Yellow Shrimp is exactly the same as the Red Cherry Shrimp. Size varies from 1.5cm to 1 inch. Very healthy and consumes all sorts of feed , normal feed. we are taking bulk orders 50 pic minimum. 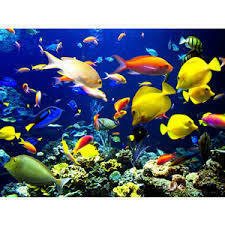 all kinds of tropical fish, fresh water fishes are available at retail / wholsale prices. Min order for wholsale orders = rs 5000. Specialized food for tetra's and all tropical fish and live stock.